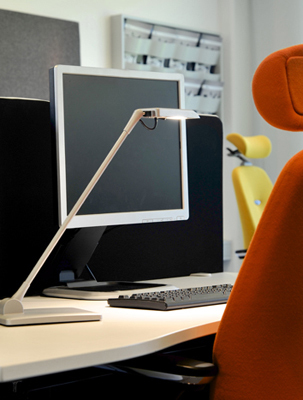 Terea - Combines energy-efficent LEDs ergonomics and compact design for an incomparable value. 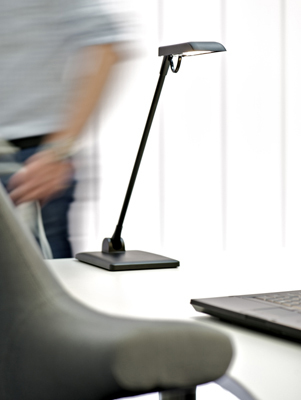 Terea which efficiently and cost-effectively illuminates any worksurface with maintenance-free operation better articulates its ergonomics with the effortless tilt of its arm and complete flexibility of its head. 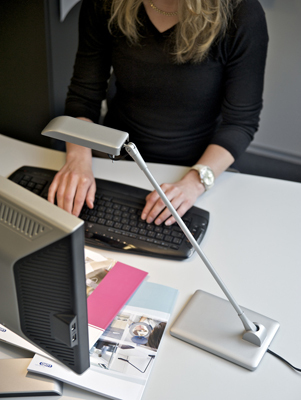 This allows the light to fall exactly where needed providing optimal lighting and functionality. - Colors: Black and Silver Grey. White is available for table/desk base models only. Luxo's new PIR sensor enhances control and energy savings. 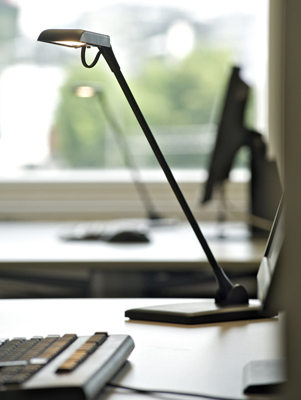 By detecting infrared rays emitted by the human body, the sensor automatically turns a task light off when the user has been away from the workspace for a brief time. 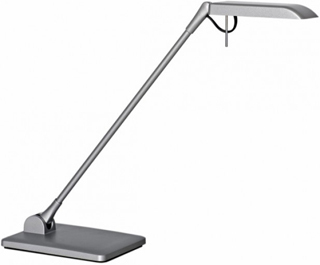 This quick-connect accessory can be used with any Luxo LED arm-based task light. 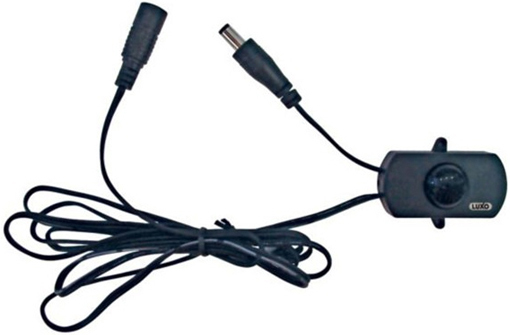 -Product dimensions - 1.89in. x .98in. x .55in.